1)for the claimed power it generates, the cocking effort is surprisingly low, especially when you compare to other kolkata made air rifles. i am not a group shooter, i like to hit what i aim at, & there are only two possible out comes hit or miss, so i shoot at very small targets at 50 feet , & note the hit:miss ratio. for the artemis, i choose the 5.5 mm candles, which i use as targets for the scorpius also. out of the box, it was shooting a little low, and to the right. to my utter surprise, after missing, only 10-12 shots, the rifle started hitting targets pretty consistently. today's hit rate was 4 out of 9.
could have taken another shot , but mosquitoes forced me to retreat inside the house. will do the velocity test with chronoconnect mobil lite using micromax canvas 5 after mosquitos abate a little. what is the weight of mastershot flathead pellets (yellow box) in .177? We are eager to know your chrony results, after all the dieseling has settled. I can not believe SDB could achieve what Precihole could not achieve with all its superior manufacturing. 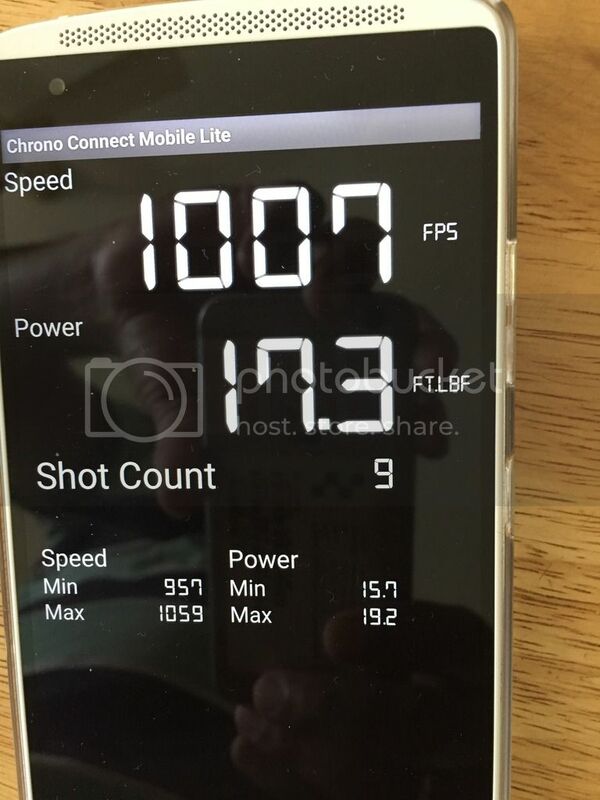 my chronograph is a mobile app (chronoconnect), which utilises the smart phones microphone to listen to the gun shoot , followed by its hitting a metalic target, (an old mainswitch box in my case), over a known distance, (15.4 metre) in my case. the rifle stopped dieseling after about 20 shots only,, but i still fired off 100 pellets just to make sure. sdb lacks a cnc cutting machine , so they use folded metal sheets instead of solid parts like precihole. To be honest , I expected initial shots to be wayward like IFgian Vidya is getting. At a velocity of 860+ fps , it is always difficult to shoot straight till AR breaks in. You have incredible capacity to shoot straight even with new gun. I wish to know what is your feeling about hold and weight? I was fortunate enough to get the earliest batch of Artemis and it's exceeds the power now what I was expecting from it initially. I would definitely suggest u to try some 8.4 grain jsb that may produce more power with Artemis.To compare this airrifle to other Kolkata made airrifle is just not demoralising the gun.. This gun is internationally national that's what I think. Now after reading other user feedback I am sure it india's most powerful airrifle with good balance and adequate accuracy.And for the money my friends oolalalalalLalala. Basuda, about weight i think the weight is just perfect , a little heavier than precihole , but the extra weight is very much required to control the recoil it produces. according to me , (i shoot standing offhand) the rifle provides best accuracy when held with open palm a little in front of the notch of the stock, placing the offhand near the trigger guard while shooting and forming a triangle with the rib cage did not work for me, i had to hold the entire weight of the rifle. the ability shoot straight is not mine but the rifle's, today i annihilated 12 candles with approx 75 shots, (each candle requires 5 solid hits for annihilation). the rifle today equaled the scorpiuses record of 5/7 hits in consecutive shots.the shot cycle has smoothened out incredibly, there is just a thwaack with the piston slamming home, & though a little vibration can be felt, it is negligible. it is most delightful tos hoot now. i am glad that that i went for. this rifle. can you suggest me some round head or pointed pellets that go well with sdb barrels, i plan to test this rifle upto 35 metres. i noticed that u had a scope installed in the sdb sport rifle as well , can you suggest where can i get one? this rifle deserves a scope, it will easily shoot at 50 meters . khistiji, & veerbhadra thanks a lot. jsbs will most definitely work well, but as i shoot a lot, i think they will put a nice hole in my pocket. to tell the truth actually, i have never been more surprised by power and accuracy in an air rifle. Unitedshot has gone ahead with 7.7 gns FH pellets. Since you shoot a lot , hope it will not make holes in your pocket. That produces some 20 fps less than MSFH 7.7 gns. They are trying to improve the design . I am looking for a economical RH .177 pellet. As I understand , I need to wait for couple of months. I just keep my left palm under trigger guard and that gives me nice shooting experience. It goes to prove that stance is again individual choice. Customs checking is very strong in Kolkata. There is every chance that same will be confiscated. A 4X20 mm can give your a better relief than open sight , cost 350/- from aliexpress. Strangely the said scope is doing well on my SDB45 till 25 mts. Even that is confiscated , it is not going to hurt you. i think i will have to settle with iron sights for now. given the high velocity of the gun, i think it will produce a flat trajectory and i can manage up to 30 yards. please do inform me about the RH pellets when you get them. Rudransh wrote: I was fortunate enough to get the earliest batch of Artemis and it's exceeds the power now what I was expecting from it initially. I would definitely suggest u to try some 8.4 grain jsb that may produce more power with Artemis.To compare this airrifle to other Kolkata made airrifle is just not demoralising the gun.. This gun is internationally national that's what I think. @Veerbhadra - How much were you getting (FPS / Ft.LBF) in your artemis? Can you please let us know? wow!! that is most surprising man. what are the weights of those pellets ?? i started out with an average of 13.6 fpe with master shot flatheads, (7.7grains) and now i am getting an average of 13.2 fpe with same pellets. if shooting at less than 12 metres it gives wayward readings and lastly chronoconnect does not work with samsung galaxy phones. i read your posts and found out that your gun was shooting low at 50m, today i took the gun to shoot at 25 m , but could not hit any thing, so brought back to 15.4 m and again could not hit anything. so i decided to shoot at paper. i was surprised to see the pellets group 2 inches below the point of aim , whereas yesterday it was bang on. after inspecting the gun i found that the screw of the trigger guard that also holds the action to the stock has become loose, after tightening it and adjusting rear sights two clicks up it is bang on again, but it started to loosen before i had finished the 10 shot group. this is what i had feared in a gun producing this much power . now experts please advice me whether to contact the manufacturer or order loclite solution?? sam 47 wrote: wow!! that is most surprising man. what are the weights of those pellets ?? Chrono will work with samsung galaxy - all you have to do is go and enable setting in accessibility > dexterity and interaction > enable assistant menu - this will put a icon permanently in the screen which you can tap to see the chrono connect settings. I have given the weight of those pellets as 7.7 grain. Please note that when I ordered the gun, initially he (Great eastern fie arms) told me that he will ship an 0.177 artemis which he had in stock but the stock color was green (which i asked him to swap with a brown color stock from 0.22 artemis), but he later called me after checking with SDB factory and told that he will get one more from SDB factory with a yellow color stock and promised me that this one is more powerful and accurate (SDB factory guys might have already tuned it and had it ready), so I went ahead with yellow stocked one. Next time, I'll try to maximise the distance and give you an update. it has become a practice these days to always have appropriate screw drivers near my AR. I have a scope attached too...Although the scope mount holds it place due to scope stop, screws in the mount (ones holding the scope and the ones that attached to barrel) are getting loose..I periodically check them and tighten it once in a week. 32 feet is less than 10 metres maybe i.e is why the readings are wayward. 17 fpe?? good god you might have to apply for a license!! my loosening started after 200 shots, the side stock screws had also loosened , but not much & after tightening it seems to be holding alright. when the stock screws are tight i am surprised at the accuracy,, i just shot a 1 rupee coin at 25 m, but cant go any further as the pellets are flathead. 1000 fps with 7.7 grains ,, i just still cannot believe this!! Earlier I used to shoot with open sights and use a binocular to check the impact point at around 50 to 60 meter. Now that I have a scope, i can see it through the scope itself. I'm comparing the impact points between the scope and open sight - and complaining that the impact point has dropped. Now, when I shoot compensating for the drop, I pretty much hit the target. Coming to power, I shot at an unused old plastic sintext tank near my home from almost 40 metre and it cleanly went through. I shot at a discarded plastic PVC pipe at a construction site almost 70 to 80 metres. It had cleanly put a hole.